While it’s bound to spark controversy, director Darren Aronofsky’s (“Requiem for a Dream” and “Black Swan”) artistic vision of the Noah story is breathtaking. This is not an average happy Sunday school lesson of Noah’s ark. Instead, Aronofsky’s vision is dark, gritty and artistic. The book of Genesis tells the story of Noah, a righteous man who obeyed God’s command to build an ark. God wanted to redo creation because of the wickedness and sinfulness of man. What we do not know from this story is what Noah was thinking, and this can be pretty hard when translating it up onto the big screen. This is where Aronofsky and writer Ari Handel come into the picture. The story of Noah is only three chapters in Genesis, so Aronofsky and Handel had to fill in the gaps and give Noah a character arc. Our story begins with Noah (Russell Crowe) and his family — humble caretakers of Earth. There is a slight environmental message here but it’s Hollywood and that’s expected. Later, the Creator (God) gives Noah a vision about the flood through a dream. Noah travels to a mountain where Noah’s grandfather, Methuselah (Anthony Hopkins), lives. Methuselah, who has a constant craving for berries, gives Noah a hallucinogen where he has another vision about the flood and sees that he needs to build an ark. Noah receives a seed from Methuselah to plant and to grow a forest for the ark. Noah and his family also get help from the Watchers (fallen angels or stone giants that do God’s bidding). While, the Bible does not talk about stone giants it does mention giants roaming the Earth. This is where Aronofsky’s creative spark comes into play. The Watchers at times can be often silly but they are also entertaining. The antagonist of course is the rest of humanity, but we need a face for the film and that’s where the character Tubal-cain (Ray Winstone) comes into play. Tubal-cain is the vicious leader who wants on the ark. He gathers an army to overtake Noah. Winstone fits the part perfectly and shows us the evil haunting his character. The visual effects in this film are stellar and bring a sense of realism to the film. The cinematography by Matthew Libatique (“Pi” and “Black Swan”) is beautiful and breathtaking. The scene where the animals enter the ark is beautifully shot and enlightens the film from some of its darker tones. My favorite scene from the film was when Noah told his family the story of creation. Aronofsky uses more of his artistic keen by using time-lapse footage to journey through the creation of the universe. While “Noah” does come with its flaws by sometimes cramming in too much stuff for one film or straying at times from Scripture, Aronofsky’s version is still worth seeing. This is also not the first Biblical epic that has strayed from the Bible. Cecil B. DeMille’s film “The Ten Commandments” (1956) is to be considered one of the greatest Biblical epics ever put on screen. Many Christians still praise this film and highly recommend it to believers and nonbelievers alike. However, the film still did take out and add in some parts from the Bible. The film only showed four of the 10 plagues (Blood, Hail, Darkness and Death of the Firstborn). DeMille also added in romances between main characters that may have never existed. Some other noble performances are from a strong Jennifer Connelly, a stern Logan Lerman and a knockout Emma Watson. Aronofsky’s version shows us the deep struggles that Noah may have wrestled with internally. He also brings a sense of deep theological elements to the film. The story could have ended once they board the ark but the film continues. I wanted to know what would happen next and if Aronofsky had any more tricks up his sleeve. “Noah” also shows us themes of love, mercy, obedience and courage. Aronofsky’s version is a creative interpretation of the Scripture. It’s a film that I recommend seeing with an open mind and if you don’t like it that’s fine because everyone has a right to their opinion, but don’t omit this film. It’s a film you need to have a conversation about after seeing it. 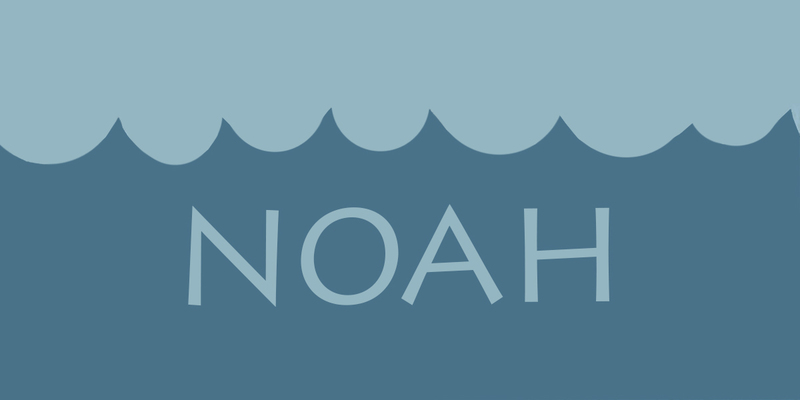 In the end, “Noah” still gets the message across that is present in the Scripture. “Noah” has its highs and lows but never sinks and that’s why it receives three and half stars out of five.